Talk to us today to discuss your website requirements. Our design team will review your business needs and revert with a free quotation. Save time resolving technical issues with one of our support SLAs starting from only €175 per month. Enquire now to avail of a free 30 day trial period. Need a custom cloud based platform? Contact us today for a free 30 minute consultation to discuss the wide range of options available to you. Tailored technical solutions for all types of business. We are specialists in the deployment and management of open-source software systems. Our cloud engineering team can build and deploy your complete platform, fully tailored to the needs of your business. Systems supplied by us are typically rolled out for a fraction of the cost of proprietary software currently available on the market. Save on costs by outsourcing your entire IT function. Management, maintenance & security services are available in the greater Dublin area only. Expert website design services for projects of any size. All of our sites are developed on user friendly content management systems such as Drupal or WordPress. Tailored cloud based systems available for all types of applications. Available options include load balancing, advanced caching, multiple webservers, CDN integration, and much more. Enquire about our remote assistance and technical support packages. 90% of all issues are resolved within 2 hours. Physical servers and phone systems available in the greater Dublin area. All prices quoted include supply of hardware and full installation. Real-time monitoring tools safeguard system uptime by tracking the availability and performance of servers and appliances. We design our systems on the latest cloud technology, taking full advantage of all the scalability & redundancy that the cloud has to offer. The websites we build are optimised for extremely fast page load times, automatically coping with spikes in traffic, meaning that the stability of your application is never compromised. All of our websites are built to display properly on screens of any size and resolution. 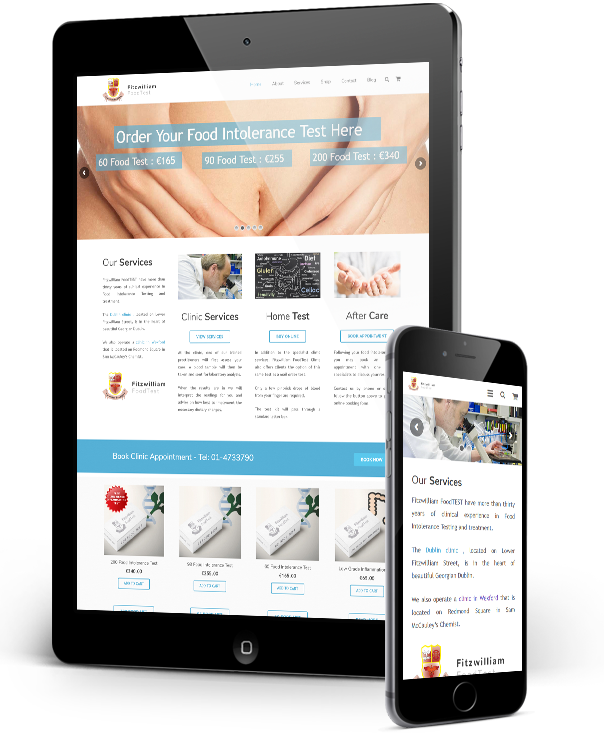 Your website will look perfect every time whether displayed on a smartphone, a tablet or a widescreen desktop monitor. Our developers can build any type of functionality imaginable into a website. From simple booking systems to bespoke e-commerce platforms, our engineers have the experience and knowledge necessary to make your concept a reality. We offer comprehensive SLAs for managing and maintaining all new website builds. Our support agents are always on hand if you need assistance or technical support.